Excellent service at every stage in the process, from the initial quotation to the removals (two in our case) and the storage. Very professional, friendly, courteous, helpful, and very willing to accommodate any special needs. It was a pleasure to deal with people who really care about doing a good job. Very pleased with the service and very happy to recommend to others. I can't recommend this company enough. After I was let down by another removals firm (The little removals Company) with less than 24 hrs to go, Dukes were able to juggle another job and squeeze me in. The 3 guys were very efficient, professional and careful from start to finish and managed to complete the move in time. On behalf of my husband and I, we just wanted to express our sincere gratitude and total relief when Dukes took over our move for us last Tuesday. Someone called Kevin with helpers Aaron and Callum did a terrific job at very short notice, so we wanted to write in to say what a wonderful job they did for us moving from Harwell to storage, after our original movers let us down. They were all so helpful, so a big thankyou to them, and to yourselves for an efficient service, highly recommended and do put this review on your website. Our apologies for not writing sooner, but we’re still snowed under with boxes here.We just wanted to thank you very much for the marvellous service that we received from you. At every stage in the process, from the initial quotation to the removals (two in our case) and the storage, we were most impressed by your professionalism. You really are dedicated to your job, and it shows. We knew at once that you would take as good —and probably even better—care of our possessions as we do. And in addition, we’d like to mention the friendliness, courtesy, helpfulness (of you and your staff), and willingness to accommodate our particular needs, with which the job was undertaken. We are very pleased that we picked you for our removal, and we’ll be happy to recommend you to others. Turned up on time, were professional and friendly. Made my life very easy so I could put my feet up and relax! Very professional, efficient and considerate. We marked on some boxes for us to know which box was for which room and didn't expect them to take the boxes to each room (we told them all the boxes could just go to the garage), but they did look at the notes on the boxes and helped us to put them in the places we wanted without wasting any minute, very impressive! All the furniture and mattresses stayed clean after all. Highly recommended. Professional, careful, quick and courteous experts. Very careful with delicate pieces, taking additional care in planning and packing, and offering advice and expertise prior to the move. Thought the process through carefully to ensure no damage from unexpected events. Everything (including piano) arrived unscathed. Their evident professionalism and expertise made the potentially very stressful move a relatively calm and pleasant experience. Even offered to hang paintings. Would definitely recommend and will approach again for my next move. 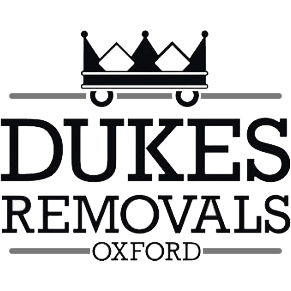 We used Dukes Removals to move long distance, from a 3 bed semi to a larger house. We used the full packing service, and as a family of 4 with young children and all their clutter, there was plenty to move! Dukes were great and handled everything meticulously. Nothing was broken or even scratched, they took great care at every stage and did so with a smile as well. A very friendly and helpful service, and we would have no reservations whatsoever about recommending them to our family or friends. I used Dukes for two moves, first into storage (which they arranged), then from storage to new home, and found them very friendly and efficient. For the first move they arrived early and soon got everything expertly packed. On the second move they were again very quick and extremely helpful, even fixing a couple of wonky chairs! Would definitely use again. Very helpful, friendly and efficient, one load to storage, which Kevin organised for us, and the rest to our new house. Would definitely use again and highly recommend. Kevin and his team did a fantastic job moving all our belongings. Not only did they move it all safely they also packed it all up in storage for over two months. We could not fault their service but also the excellent price. We'll definitely look to use them again in the future! A great experience! Our removals day was completely stress free. Kevin and Jing checked out everything in advance e.g. would our furniture fit through our new doors? and organised parking suspension for the day. Everything was packed carefully. Kevin and the team took extra care not to damage our newly decorated walls and reassembled beds. The whole team were extremely pleasant and professional. Fantastic. Kevin is extremely helpful, responsible, efficient, and very experienced. If he says he'll be there, he'll be there. He's never let me down. He knows exactly how and where to pack your stuff. He's a really good guy. I wouldn't hire anyone else! Highly Recommended!! Kevin and Eddy were BRILLIANT. Swift, careful, easy-going, chatty but not too much -- basically exactly what you want for a house-move. Good price, too. Cheers! Excellent service and first-rate company. Would recommend wholeheartedly. I would highly reccomend Dukes removals, i had the full packing and unpacking service as i was moving 150 miles from the west Country back to Kent, all the staff were highly professional, friendly and considerate at a very stressfull time. They took great care of my furniture and the packing service was great, even down to wrapping my make-up and nail polish individually. I would have no hesitation in reccomending Dukes removals to family and friends. Jo Rayner who moved in June 2014." "Fantastic service. Very friendly, very quick, very careful with our possessions. They did everything we asked them to and more - they even dismantled some items we hadn't made small enough to move. They shrink wrapped all the furniture that needed it and got our big sofa down the spiral staircase. We had such a relaxing time, sat back and let Kevin, Dave and Jane sort it all out it really took the stress out of moving and was worth every penny. Jo D"
"Thanks Kevin, for a job well done. You and the team were friendly, flexible and professional and competitively priced. As a result there was no stress for us and we were able to enjoy our new home straight away. All our best, Stefan & Roberta"
"We used Dukes to move to Hastings. Really well packed and very impressed watching them load. Worked hard especially we had no lift and on 3rd floor..Fit guys!!!!! Day was lovely due to their hard work so grateful.....good luck for the future guys!!!" "Thanks guys...packed and moved us to Portsmouth. All was smooth on the day. Very good communication and very efficient. Worked hard all day and smiled all the way through it..can't ask for more..made are move a lot less stressful than we thought it would be. Thanks for everything was greatly appreciated." "Most delighted with your service..Professional and efficient and made the day go ahead without a hitch. Great advice is much appreciated..Thank Jane for all the packing...everything was at it should be, MARVELOUS!!! Will tell some friends who are moving in a few months..thanks again!" "Hello Kevin. Would just like to say thank you for all your help. Everything ran just like clockwork and your team are very efficient and work well together, it made us so relieved.Your expertise and planning paid off on the day and would just like to say a big thank you to all of you. Your expertise and also your sense of humour made the day a real pleasure!!!" "We can't praise highly enough. We had expected moving house to be really stressful but they made it a pleasure." Great removal service for professional people. Recommended"
We would like to thank Dukes Removals for helping us move from Oxford to Southampton.Initially we had booked another removal company but they let us down with only 3 days before be were to complete.After explaining to Kevin he came over and had a look the same day.Later we got his quote and it was by far a very fair quote.We were very happy with Dukes and their guys and would have no problem recommending them to friends and family.